Galentine’s Day, the day to celebrate our best friends, is fast approaching. Some people celebrate it the day before Valentine’s Day, as in “Parks and Recreation,” but I think February 14 would be a splendid day to honor your loved ones, too. I’ve found three vendors with unique and inspirational gifts for your favorites. 1. “Love Yourself” print from Love By Design Shop on Etsy. Hand-drawn and lovely, this print will motivate your best pal every time she looks at it. And Love By Design Shop donates a portion of every sale to a selected cause each month. 2. On Purpose Friendship Bracelet from Kate Spade’s From Rwanda With Love collection. The bracelet can say Be Bold or Live Fully and comes in two color options. Artisans from Masoro created this limited-edition collection. 3. Sugar Scrub from Cheehilo Handmade Soaps. The sugar scrub is made with Maui sugar, poppy seed and pink kaolin clay. The shops sells handmade soaps and skincare products that are made from Hawaiian plants and produce. And they are beautiful, too! 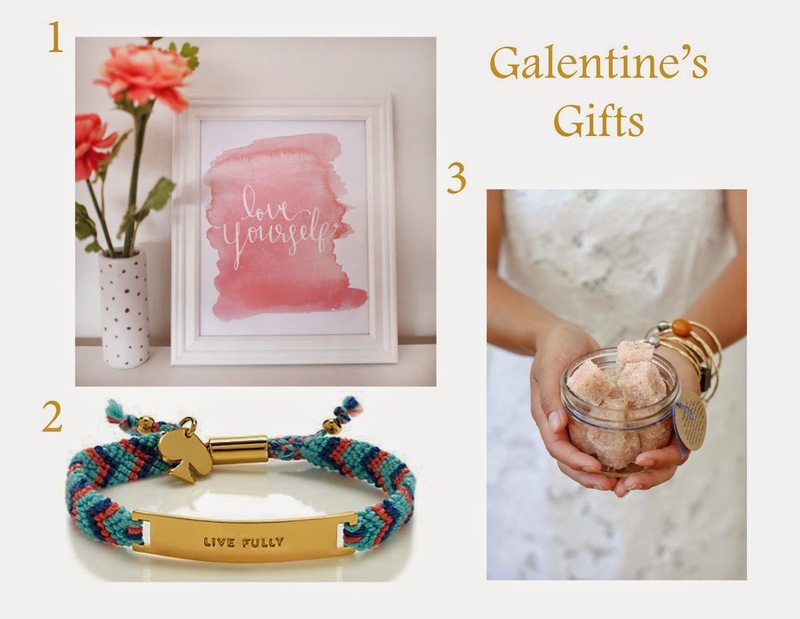 Do you like to give gifts for Galentine’s Day? **I wasn’t compensated for this post; I just think these would be lovely gifts! The ad/link below is an affiliate link. I am compensated on purchases through this link. Thank you for supporting Floradise blog.